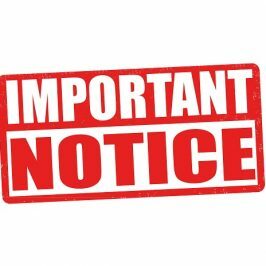 Special Notice for Students : The end-semester examinations scheduled to be held at 9am tomorrow, the 22nd of April 2019 (Monday) have been postponed. 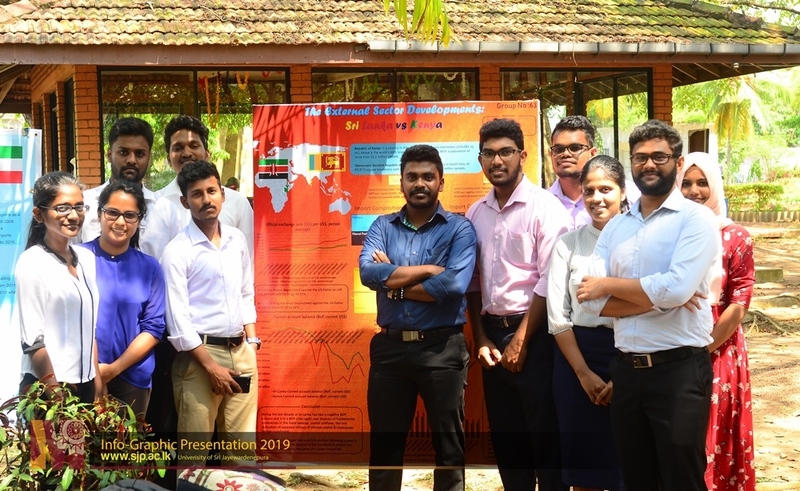 The Department of Business Economics successfully organized an Info-graphic Presentation Session for the second year undergraduates from 11 departments of the faculty. 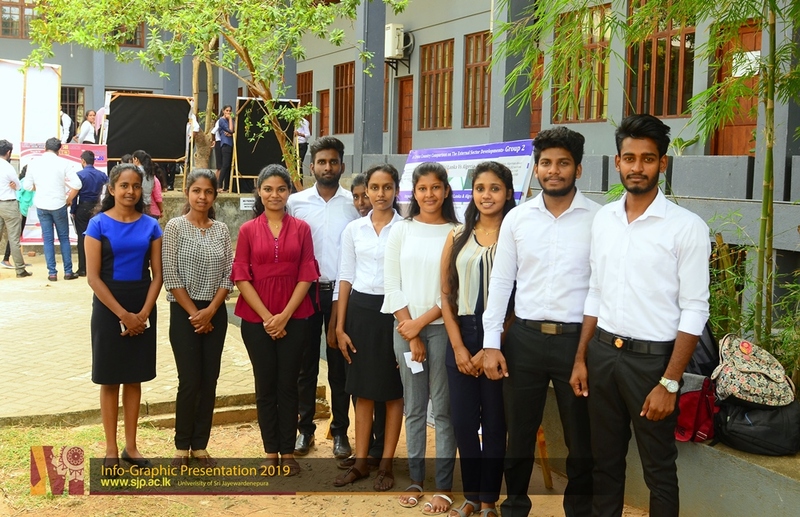 This was held on the 11th March 2019 at the university premises. 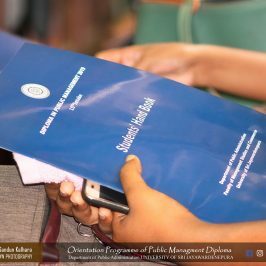 The objective of this session was to enhance the students’ knowledge on external sector of economies and to improve their analytical skills. 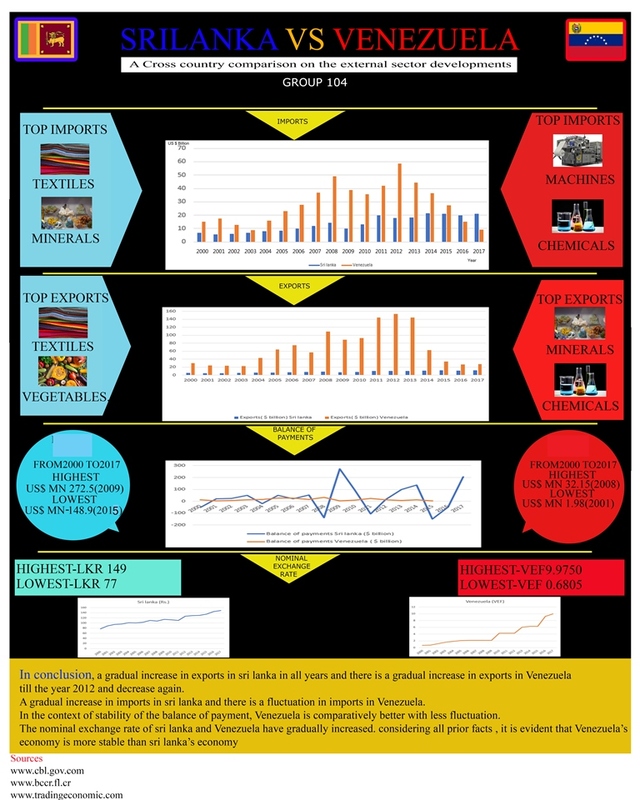 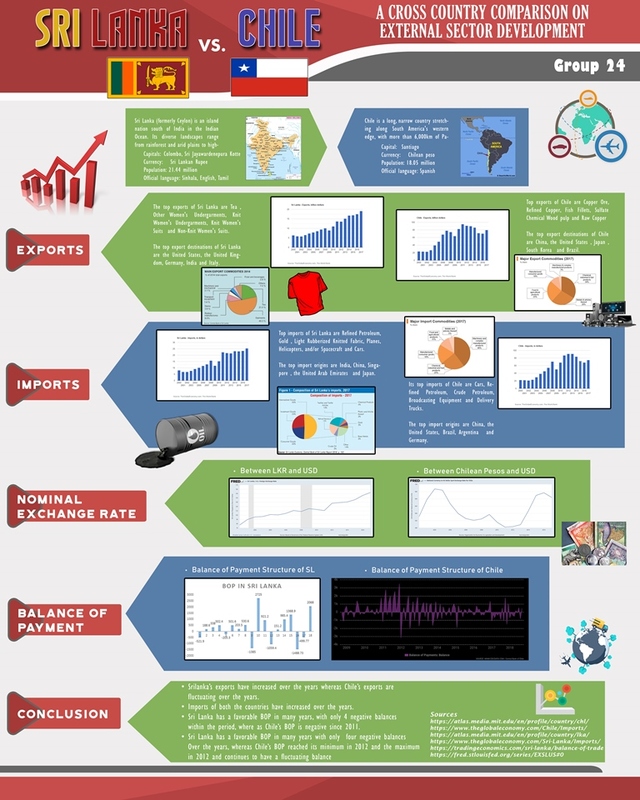 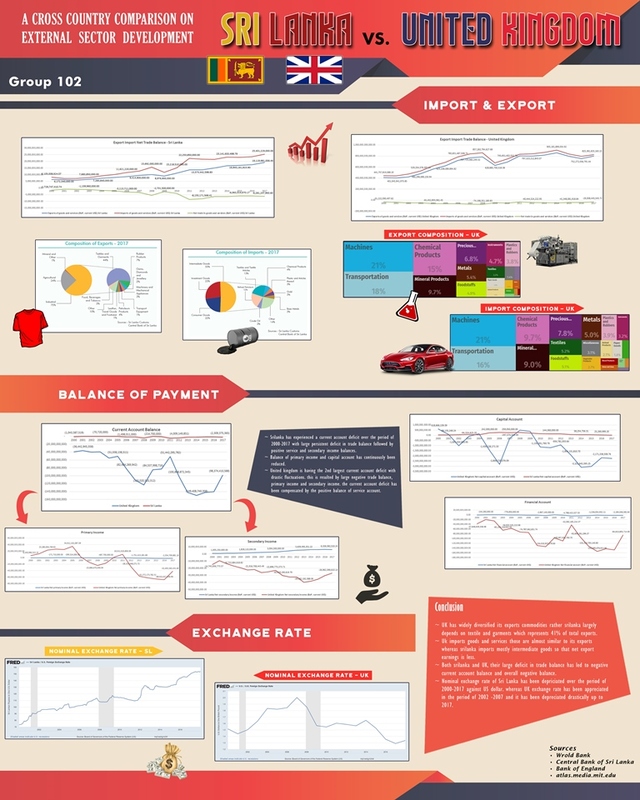 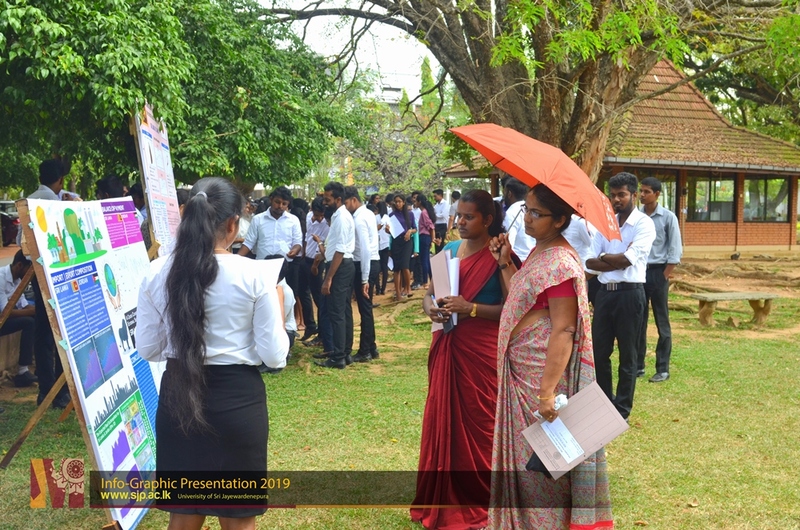 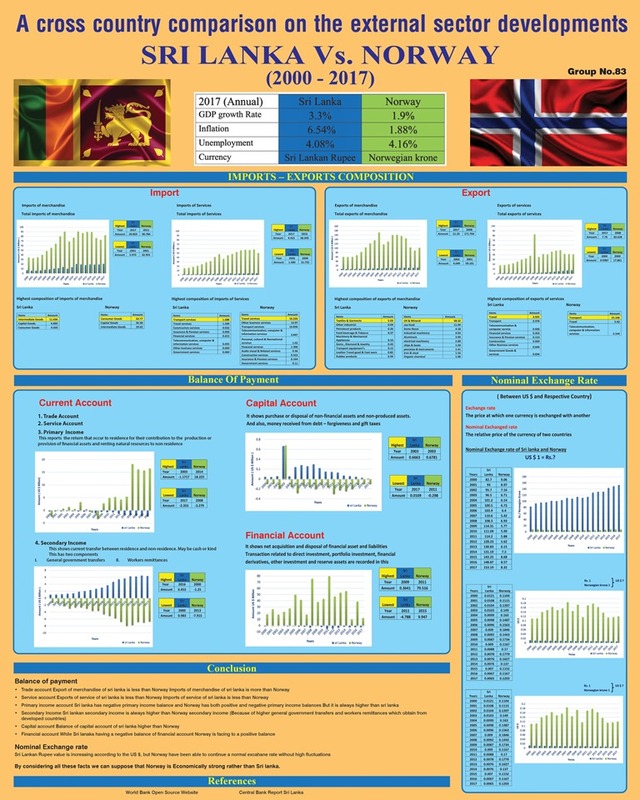 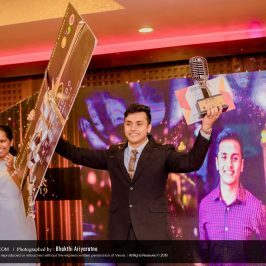 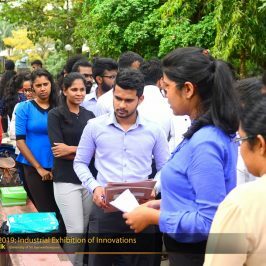 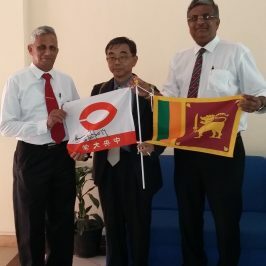 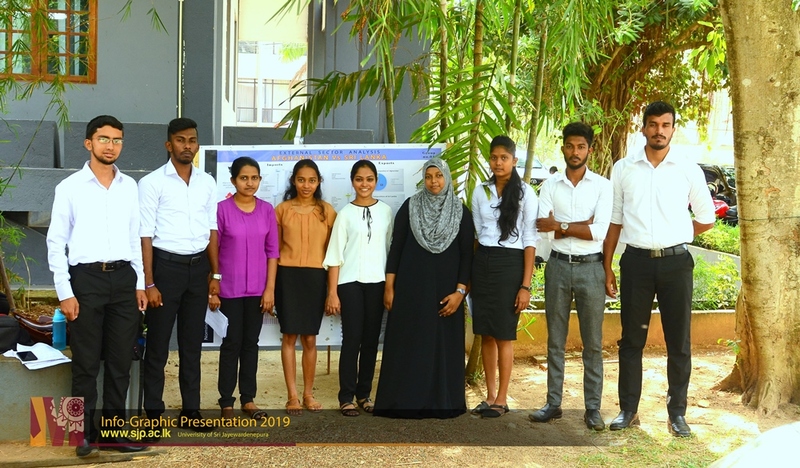 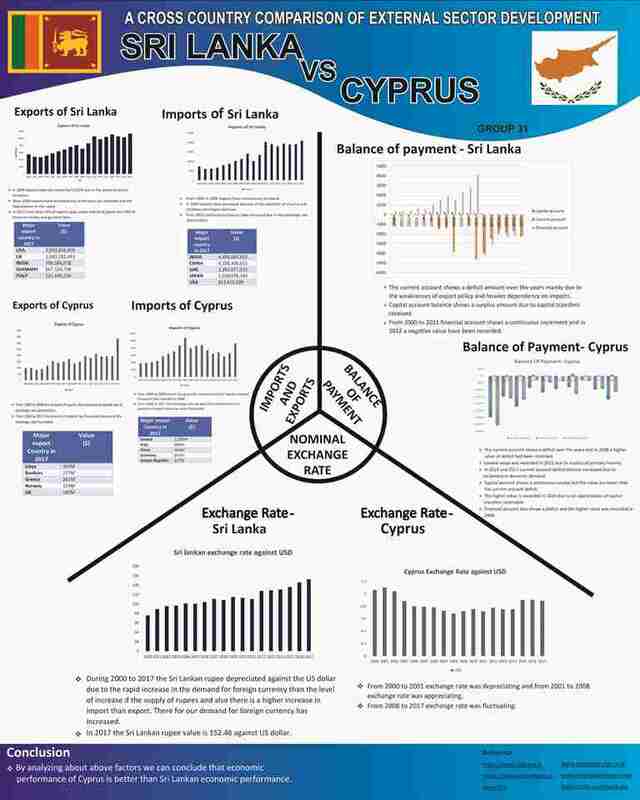 The students were required to conduct a cross country comparison between Sri Lanka and a stipulated country in terms of import-export composition, balance of payment and nominal exchange rate for the period from 2000 to 2017. 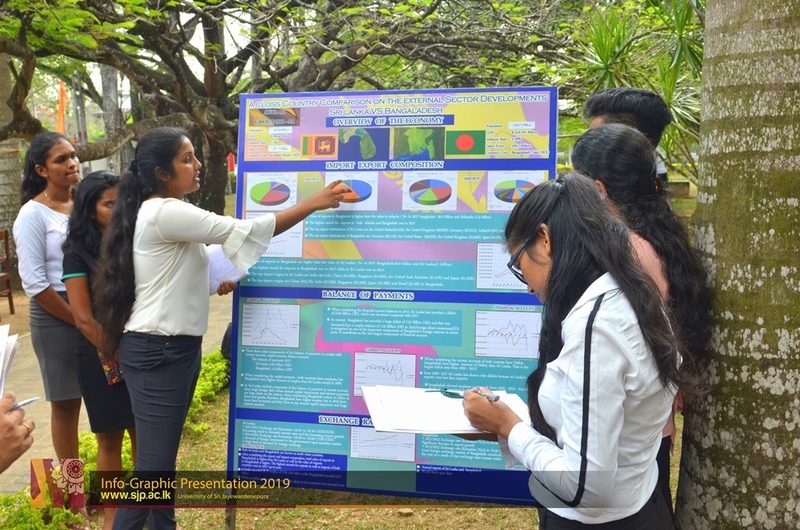 This info-graphic presentation session was organized to create a platform to present their findings through posters.